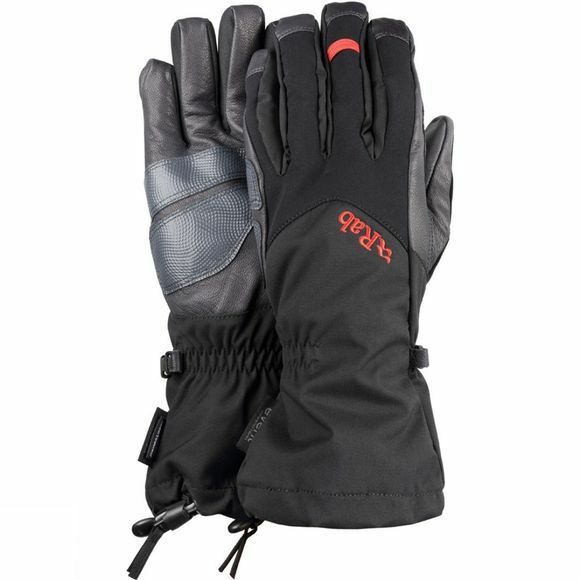 A no-compromise glove for serious mountain use. Naturally, there's an eVent membrane to keep the heat-sapping wet at bay, but the Icefall protects against more than just the damp. Primaloft takes care of the insulation, while Pittards Armotan leather (with Innovative Grip Technology reinforcements) means the palm stands up to the constant swing of ice-tools and the cranking in of screws...but to be extra-certain they're up to the job, critical seams are reinforced with leather patches. When you need to take them off to fiddle with your ropework, wrist leashes ensure they don't tumble back down the gully. Well, you wouldn't want to lose a glove this good, would you?